The setup is an open wind tunnel used to demonstrate and measure the aerodynamic properties of various models. For this purpose, air is drawn in from the environment and accelerated. The air flows around a model, such as an aerofoil, in a measuring section. The air is then decelerated in a diffuser and pumped back into the open by a fan. The carefully designed intake nozzle and a flow straightener ensure a uniform velocity distribution with little turbulence in the closed measuring section. The test section is square in shape & made of transparent plexiglass for students to visualize the process. The built-in axial fan with a variable-speed drive is characterized by an energy-efficient operation at high efficiency. Air velocities of up to 36 m/s are possible to be achieved in the wind tunnel. The trainer is equipped with an electronic two-component force sensor. Lift and drag are detected and displayed digitally. The air velocity in the test section is measured using a pitot tube. The standard accessories include Multitube Inclined Manometer, Static Pitot Tube, U tube Manometer, 2 Component Force Balance, Digital Force Indicator, Wide range of experimental modules like NACA aerofoils, drag models of different shapes, Boundry Layer, Aeroplane Models etc are are available for use with wind tunnel & can be ordered separately. An optional Data Acquisition System is also available for reading values of pressure, displacement/angle, velocity and force. These parameters can be transferred to a PC where they can be analyzed with a windows based software.Optional accessories allow a variety of experiments, for example, lift measurements, angle measurement, pressure distributions, boundary layer analysis or visualization of streamlines. 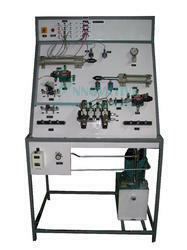 The MultiFuel Research Engine Test Setup consists of Single Cylinder, 4 stroke Engine coupled to a dynamo meter. The engine is modified such that engine head can be lifted or lowered so that clearance volume & hence compression ratio can be changed. The dynamo meter provides a variable load on the engine to study engine performance under variable load conditions. The engine is further modified so that petrol & diesel can be used as fuel. The engine is fitted with ignition coil & throttle body while running on petrol as fuel. 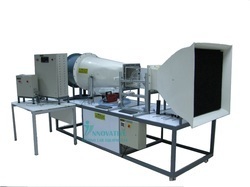 Exhaust gas calorimeter is used for estimation of heat carried away by exhaust gases for determination of heat balance of the engine. The instrumentation console includes measuring instruments for Engine Speed, Torque, Air consumption, Fuel Consumption, temperature & cooling water flow rates. The parameters are recorded by the sensors & transmitted to Data Acquisition Device. The Data Acquisition Device sends the data to computer & which is displayed in the Data Acquisition Software. Windows-based software developed in Lab View Platform is capable of displaying real-time acquired data & results are displayed in tabular & graphical format. Cut section model of power steering gear box is useful to understand construction details of a powered steering gearbox. The cutaway model is carefully sectioned to show internal parts for training purposes, professionally painted with different colors to differentiate the various parts in a better way. The steering gearbox used for the cut section is a genuine component from OEM like Hyundai or equivalent. CTEV-10 is a full scale working cut section model of an Agriculture Tractor designed to enable students to study different systems of a tractor & demonstrate its working. The setup uses an actual tractor, sectioned at suitable locations to display internal assembles. In order to visualize operation of the assemblies, the engine is driven using a low speed motor. All the assemblies are repainted using automotive grade paints & color coded in order to make students understand the sectioned parts. The tractor assembly along with drive system is mounted on a sturdy steel frame, fitted with castor wheels for mobility. All the assemblies like Engine, Transmission, Brake System, Engine Cooling System, Air Intake System etc are sectioned in order to show the internal assemblies & parts. While running at lower speed by using an electric motor, the students can visualize operation of important vehicle systems like engine, gear box, power transfer to wheels. The engine is cut at different locations in order to display its components like piston, cylinder, crank shaft, cam shaft etc. Auxiliary systems like oil sump, starter, alternator, radiator, air cleaner etc. are also cut in order to show their construction details. 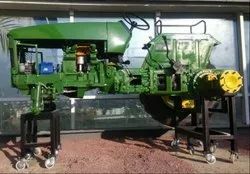 The gear box is sectioned in order to show the internal meshing gears & their shifting during operation of the tractor. The electrical system consisting of Head Lamps, Tail Lamps, Turn Indicators, Horn etc is operational along with other mechanical systems. 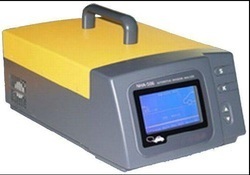 The Exhaust Gas Analyzer is for measuring CO, HC, CO2, O2, Nox in automotive emission. CO, HC & CO2 are measured by the principle of non-dividing infrared absorption, while O2& Nox is measured by the principle of the electrochemical cell. This instrument is equipped with sampling probe, tubing & necessary filters. The microprocessor is embedded, making it an intellectual instrument with liquid crystal display and English interface. Inductive RPM (engine-speed) measuring pliers, oil temperature sensor for measuring RPM and oil temperature are included.Detailed Operation & Maintenance Manual is provided along with the equipment. Electro Hydraulic Trainer is designed to demonstrate an application of Hydraulic Power & build various Hydraulic Circuits using electrically operated hydraulic valves components.The trainer is equipped with a power pack to supply oil under pressure to the components during operation. Two distributors, each for Pressure & Tank port are mounted on the profile plate. 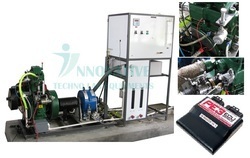 Hydraulic Connections between the components are made using hoses with easy to use push-pull connectors.The components supplied along with the trainer include Direction Control Valves, Linear Actuators, low control valves, Check Valve etc. To study the use of advanced electrically operated Hydraulic components, the trainer is supplied with different solenoid operated direction control valves. All necessary accessories like power supply, relays, switches & proximity sensors etc are supplied with the trainer. Closed loop, Compact, comprehensive, sturdy design. ¿¿¿ Direct readings of Process variables possible. ¿¿¿ Standard Industrial grade components used in trainer. • HMI - Color touch panel built into console housing, with connecting cable and application to each station. • The process shall start in the PLC or monitor them with the touch panel. The control task shall be handled by the PLC. The controller parameters shall then be set on the touch panel. All process variables shall be displayed in user friendly way – including trend graphs – on the touch panel. • Technical documentation of the trainer and installation, operational, as well as maintenance and troubleshooting manuals included. • Interfacing means to computers as tools for programming and simulation. The Bernoulli’s Theorem Apparatus is designed to experimentally verify the Bernoulli’s Theorem. Set up consists of two constant head tanks made of clear acrylic with a venturi tube fitted in between. The venturi tube made of acrylic has 11 pressure measuring points connected to Piezometers so that Pressure Head at each point can be measured. Arrangements are made to operate the unit under different static heads & at different flow rates.Water is supplied from the sump tank by centrifugal pump & measuring tank is provided to measure the water flow rate. The entire setup is mounted on a strong steel frame. We, “Innovative Techno Lab Equipments,” are a renowned manufacturer, trader, exporter and supplier of a superior quality range of Engineering Test Equipments, Laboratory Equipments, and Trainers for Engineering Institutes. Our offered range comprises Automobile Engineering, Fluid Mechanics, Heat Transfer, Hydraulic & Pneumatics, Refrigeration & Air Conditioning, Applied Thermodynamics, Electrical Engineering and Laboratory Equipment. These products are manufactured in accordance with the international quality standards using high-grade components and cutting-edge technology under the guidance of skilled professionals. We offer this range in various technical specifications in order to meet the variegated needs of the clients. 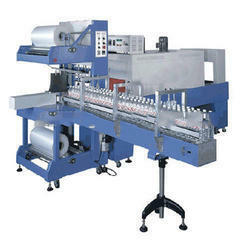 Further, clients can get these equipments as per their precise needs through our customization facility. Appreciated for optimum performance, less maintenance, rigid construction, precise engineering, easy installation and longer functional life, these products are broadly recognized in the market. Our offered range of products is broadly demanded in various industries like Automobile Engineering, Applied Thermodynamics, and Laboratories in Mechanical Engineering, Civil Engineering, Chemical Engineering and Instrumentation Engineering.